Young marines on a WWII tour of duty learn that "war is hell" in this "graphic, unflinching and honest drama of men in combat" (The New York Times). 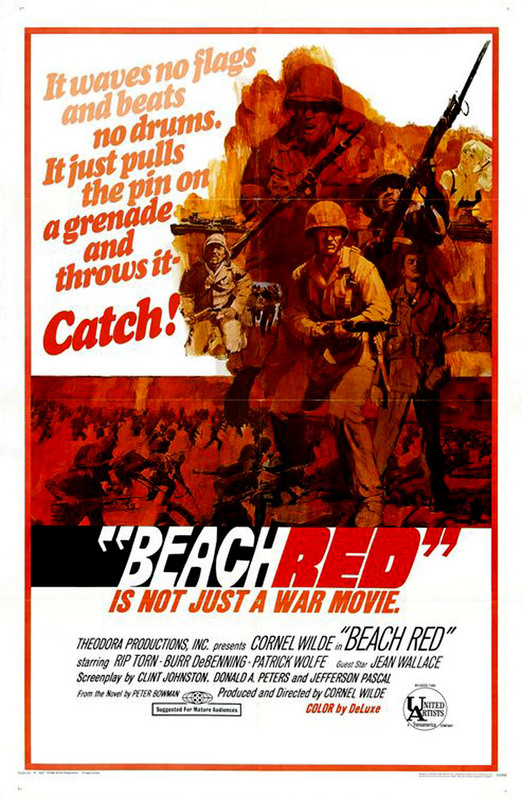 Starring Oscar nominee Cornel Wilde and Rip Torn, Beach Red marked "a real breakthrough in American war picture production" (New York Post), because it "takes pains to show the terror on both sides" (Cue). After a gory battle to take the beach on a Japanese-held island in the Pacific, Captain MacDonald (Wilde) asks Sergeant Honeywell (Torn) to lead a squad on a perilous journey deep into the jungle to find the enemy's stronghold. The scouts soon learn that the Japanese are preparing to strike back hard and fast. In the hours to come, whose blood will soak the sand red?